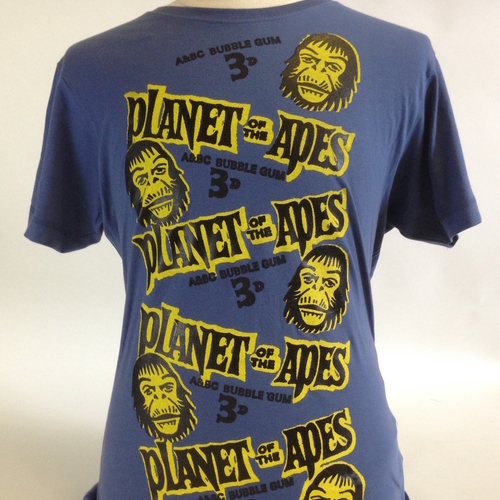 Sorry, Very Limited Planet Of The Apes Bubble Gum Tee In Blue is out of stock. Yes, sublime design from a late 1960s bubblegum wrapper. Double printed (in black and yellow) and looks amazing. This printed on a blue organic cotton Continental tee. VERY LIMITED INDEED.